When we are young and carefree, the last thing on our minds is creating legacies. We worry about living every moment, without ever stopping to think how important it is to record these amazing adventures. However, as we grow older, we begin to realize more and more just how important it is to pass on what we know, what we believe, and what we have learned throughout our experiences. We begin to wonder just what our children, and the generations after them will remember from us when we are gone. Many of us want to find a way to make sure that our memories do live on, and we want to create something for our descendants so that they can discover who we were and what we stood for. This is where Legacy Maxx comes in. The founders of Legacy Maxx began this program because they understood just how important it is not only to have something to pass down to future generations, but to be able to choose how we want our memories passed on. Today, so many people are searching for the stories of their ancestors, only to be left with little more than a shadow of who these people were. Piecing together old pictures and family records won’t give your family the story of your life, and that is why Legacy Maxx wants to give you the opportunity to create your story yourself, and to help you keep your memories and experiences alive and accessible to your descendants. Through Legacy Maxx, you can choose what people remember about you, and create your legacy in your own way. Legacy Maxx helps you record your story as you experience it, and focuses on capturing your history during the living years, to create a digital heirloom that can easily be shared with your loved ones not just now, but even after you are gone. 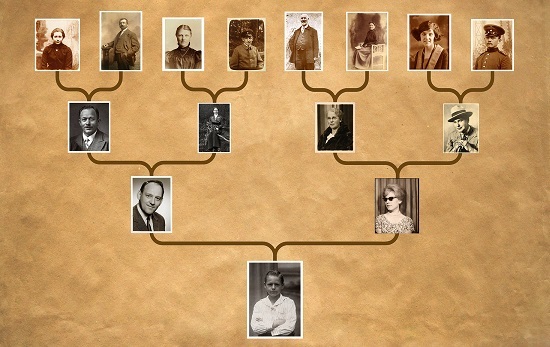 Legacy Maxx can help capture your heritage, with a number of tools including timelines, family trees, and specialized profiles that can incorporate photos and videos. Legacy Maxx will ensure that your cherished memories are protected forever, and can be discovered for years to come. Your memories are your greatest treasures, and it is important for you to be able to pass these down to the next generation. Let Legacy Maxx help you document your life, and share your incredible journey. Tell the stories you want remembered, and Legacy Maxx will ensure that they live on. That is our promise to you.